Welcome to Walker's Taekwondo! Since 1999 Walker's Taekwondo has provided professional martial arts instruction to our community. We pride ourselves for having a safe environment where students are part of our family oriented program. 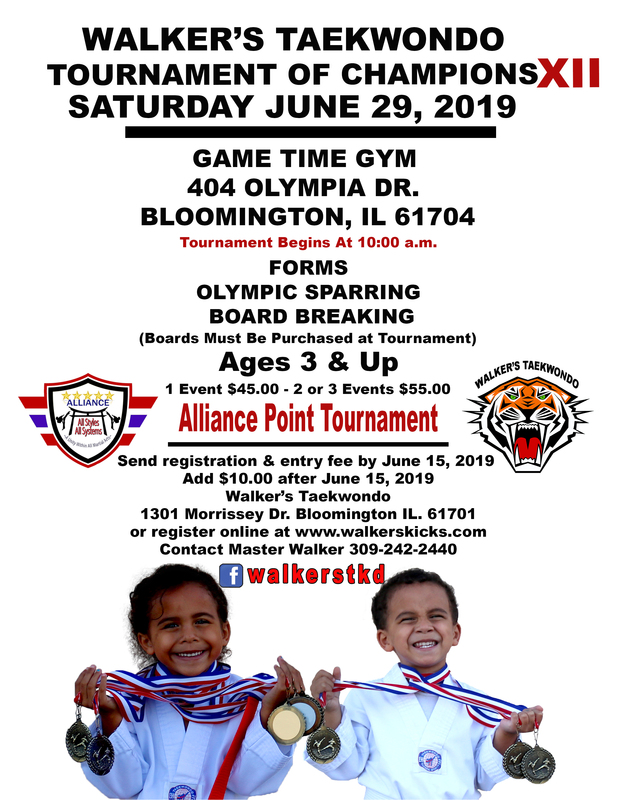 Walker's Taekwondo provides the highest quality training and most affordable Martial Arts program for individuals and families in McLean County. Since being founded in 1999, our goal is to not only teach students Martial Arts skills, but to also help them develop life skills such as Self-Confidence and Leadership that will benefit them through their entire life. Contact us today to get started! World Class Family Martial Arts Training & Fitness! CELEBRATING 20 YEARS OF EXCELLENCE IN BLOOMINGTON, IL.! Home of 16x Midwest Champions!